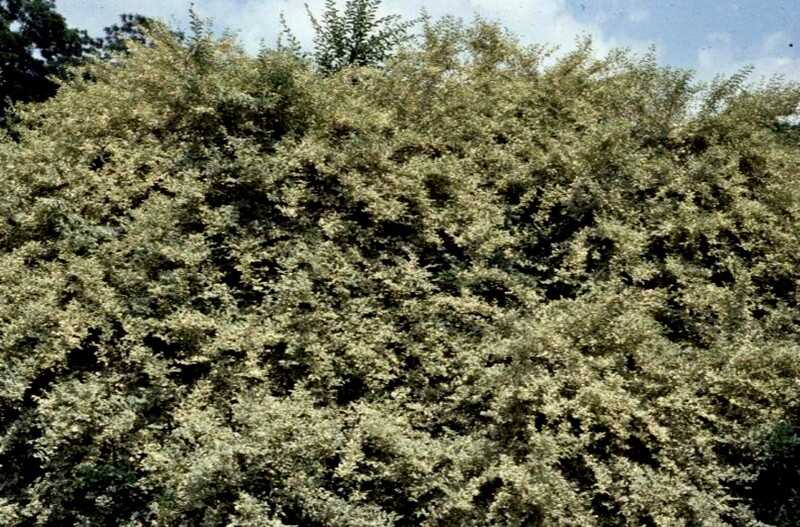 Comments: A shrub that has become somewhat popular the past few years because of its variegated foliage. It will tolerate most average conditions found in gardens, but it will not tolerate wet soils. Used as a barrier plant, slope coverage and in planters. It produces some white flowers in summer and very little fruit in fall and winter. Grown primarily for its variegated foliage and compact growing habit.